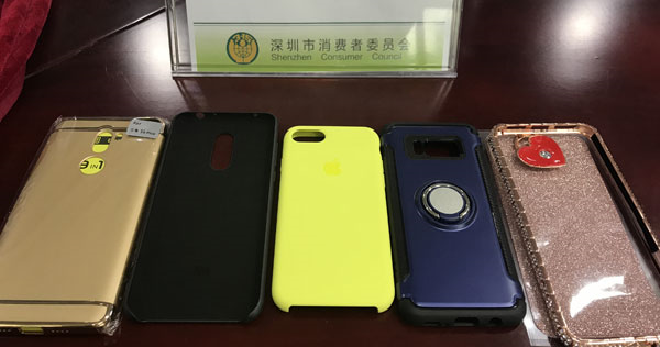 A recent investigation by the Shenzhen Consumer Council has found that many major brands are selling mobile phone cases that contains toxic and harmful substances which could harm people’s health. Some of the big names include companies like Apply and Xiaomi. After an investigation of 28 brands, it is found that 5 brands of cases have exceeded the standard limit of such substances. 1 of the brand, Yuening, carries a case featuring shimmering powder had a level of lead that is 1,550 times greater than the limit. The substances found in affected phone cases could potentially cause damage to organs and even lead to cancer, an official from the council said.